BANGKOK, May 11, 2010 (AFP) - Thailand's deputy premier went to the authorities Tuesday to hear a complaint against him by "Red Shirt" opposition protesters demanding he surrender over his role in a deadly crackdown. The demonstrators vowed Monday to keep up their crippling rally in the Thai capital until Deputy Prime Minister Suthep Thaungsuban turned himself in to take responsibility for an April 10 operation which left 25 people dead. Suthep was overseeing security when armed troops launched the attempt to clear an area in the capital's historic district, sparking fierce street battles between the army and protesters. It was unclear whether his visit to the Department of Special Investigation (DSI) would satisfy the Red Shirts, who have been staging mass protests in Bangkok for two months in a campaign for elections to replace the government. "Suthep will come to hear the complaint and I think an arrest warrant against him is not necessary as he has shown his innocence," DSI director Tarit Pengdit told reporters. The DSI is under the supervision of the justice ministry and deals with special cases. The Red Shirts have called for Suthep to go to the police instead, but Tarit said the case would be referred to the DSI anyway. A total of 29 people have been killed and almost 1,000 injured in outbreaks of violence since the Red Shirts launched their campaign in March for immediate elections, the worst civil unrest in the capital for two decades. "If Suthep refuses to surrender himself to police, we refuse to end the rally," a leader of the red-clad protest movement, Nattawut Saikuar, said Monday. 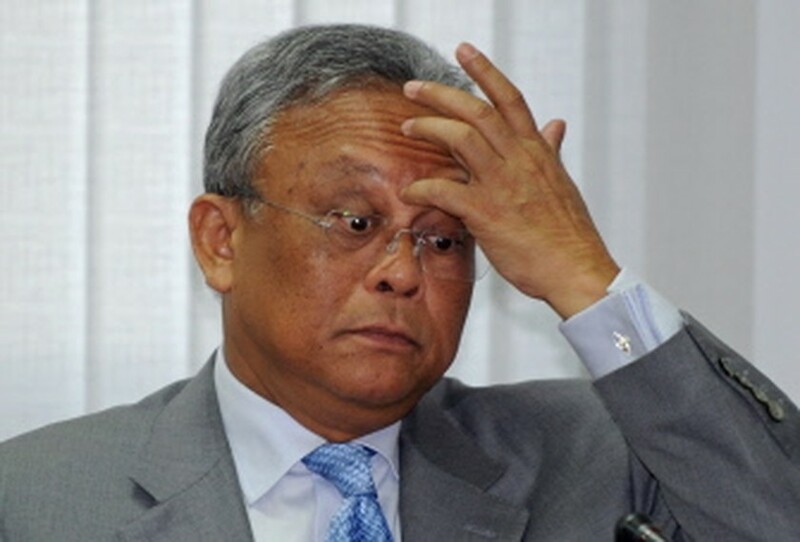 "If Suthep surrenders to police, then we will go home." While arrest warrants have been issued for protest leaders on terrorism charges, "there has been no legal action against the government," he said. Red Shirt leaders asked a Bangkok court Tuesday for arrest warrants against them to be dropped, but their petition was rejected. A lawyer for the movement said they would appeal the decision. Prime Minister Abhisit Vejjajiva had demanded at the weekend that the opposition demonstrators give a "clear answer" on whether they would fully accept his peace roadmap. The protest movement said Monday that it had no objection to Abhisit's proposal to dissolve parliament in the second half of September for elections on November 14, dropping a previous demand for a specific dissolution date. The mainly poor and working class Reds, who broadly support fugitive former premier Thaksin Shinawatra, have pledged to enter into the reconciliation process, but have voiced suspicion of the government's sincerity. Abhisit has warned he will scrap the plan for early elections if the protesters do not leave their vast base, which has been fortified with barricades made from piles of fuel-soaked tyres, bamboo poles and razor wire. Crowds at the Reds' camp, which swelled to as many as 100,000 people in the early days, dwindled to just a few thousand last week as a resolution appeared near and thunder storms dumped heavy rain on the garbage-strewn protest site. But their ranks were boosted over the weekend by 5,000 more supporters who arrived from the movement's heartland in the impoverished rural northeast, defying a ban on rallies in the capital, which is under a state of emergency. The Reds consider Abhisit's administration undemocratic because it came to power in a 2008 parliamentary vote after a controversial court ruling ousted elected allies of Thaksin, who was himself unseated in a 2006 coup. They have said the government is intent on clinging to power until at least September to ensure the new army leadership line-up is appointed and the national budget is approved in parliament.